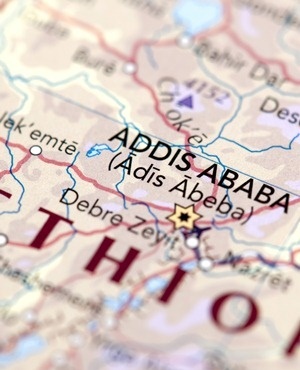 Addis Ababa - Residents of a town in Ethiopia's restive Oromia region on Monday disputed the government's characterisation of a deadly shooting that left nine civilians dead as an accident. Ethiopian state media said Sunday that soldiers shot nine civilians near the town of Moyale on the Kenyan border after mistaking them for members of the banned Oromo Liberation Front (OLF) who were trying to sneak into the country. But two residents who spoke to AFP said the shooting took place in an area known for its opposition to the government, and came amid worsening relations between the populace and soldiers deployed to Moyale under a nationwide state of emergency declared last month. "The government is just disseminating misinformation," said one resident, who spoke on condition of anonymity for fear of reprisals. A second resident - who also did not want to be named - said the bloodshed began on Saturday after a crowd formed to separate two motorcyclists who had collided and began arguing. "It was then a military vehicle came along. The military jumped out of the car and started shooting aimlessly, killing indiscriminately," said the resident, who fled across the border to Kenya along with many others. The first resident, who remains in Moyale, said he counted 10 bodies in the town's hospital. "Some of them were killed in their homes. Some of them were killed while they were having their lunch. Some others were killed while they were selling in their shops," he said. Ethiopia declared a state of emergency last month after the surprise resignation of Prime Minister Hailemariam Desalegn, who will stay in office until a successor is chosen. Oromia was the epicentre of a protest movement against Ethiopia's one-party rule that started in late 2015 and spread to the neighbouring Amhara region, leaving hundreds dead and resulting in tens of thousands of arrests. A 10-month state of emergency imposed in October 2016 quelled much of that violence, but the government remains unpopular among the Oromo, Ethiopia's largest ethnicity who inhabit Oromia. Oromo activists called a three-day strike to protest the state of emergency last week which was observed by many businesses even though it was against the law, the resident said. Both residents said the Shawa Barri area where the shooting happened was home to young men who were active against the government and spread word of the recent strike. The government says five soldiers have been arrested over their role in the killings, which will be investigated by the military.